Hey bud u gotta light? – Sure..hold it for me a sec please? Thanks bud. Not the worst arrangement I’ve seen. That would be in a fast food place I stopped in on a road trip once. 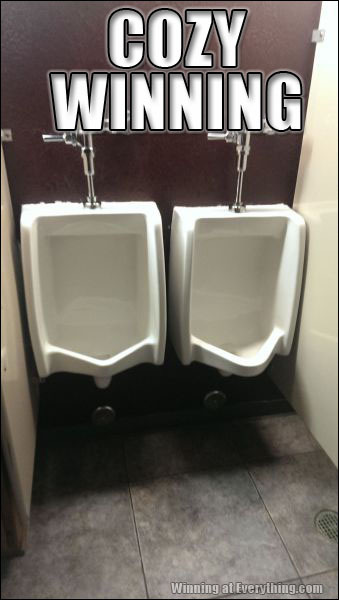 Don’t even know where it was, but the urinal was next to the door, on the same flat wall, with a divider whose top was only about four feet off the ground. Meaning anyone who entered the restroom was facing the guy using the urinal and had no choice but to see.